A slice of home-made lemon swiss roll. 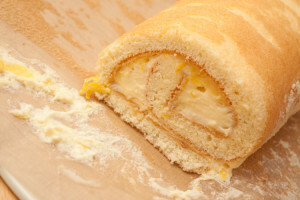 The roll is filled with home-made lemon curd and lemon cream. This roll looks delicious and i want to try the recipe.